In 1955 a small group of friends held an organizational meeting and the Quesnel Figure Skating Club was born. Recognized as Founding members of the new club were Dorothy Cappan, Helen Stevens, and Evelyn Olsen. Classes were held under the watchful eye of the volunteer instructor Mrs. Francis Floen. The new figure skaters could be found bundled up and practicing at the Community Centre, a natural ice rink, which was situated by the river on Front Street, where the hospital is now. That first skating season on the outdoor rink lasted only 10 weeks due to an early spring. The Quesnel Kinsmen and Lions’ clubs annually sponsored a winter festival known as the ‘Winter Frolics IceScapades. In that first year the new skating club put on an exhibition with 4 soloists and 4 group numbers. The local fireman’s band provided the background music. The community was intrigued and duly impressed by the young figure skaters. Over the next 5 years the whole community participated in various fund raising projects targeted toward building a covered arena with artificial ice. Volunteer labor and donated materials contributed by both townspeople and those living in the outlying rural areas resulted in a modern skating arena which was officially opened on Feb 16, 1960. 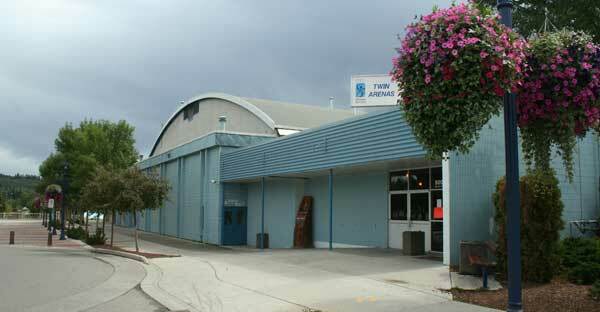 That original building is still being used today as one of Quesnel's Twin Arenas. As the artificial ice now guaranteed a regular skating season, the young club applied for and was granted membership in the Canadian Figure Skating Association – Oct 29, 1960. The first professional coach was Harry Nevard, who split his time between the Quesnel and Prince George clubs. The following season coach Charlie Murphy travelled back and forth between the Quesnel and Williams Lake clubs..this practice continued for several years, but by 1964 the Quesnel club membership had grown large enough to warrant hiring a full time professional coach of our own, Mr. Richard Madden. Over these 55 years the Quesnel Figure Skating Club has been fortunate to have had hundreds of excellent, hardworking and dedicated members serve on our executive committees. And we are extremely proud of the thousands of fine young people who have mastered the basic skills of ice skating and learned the sport of figure skating under our guidance.